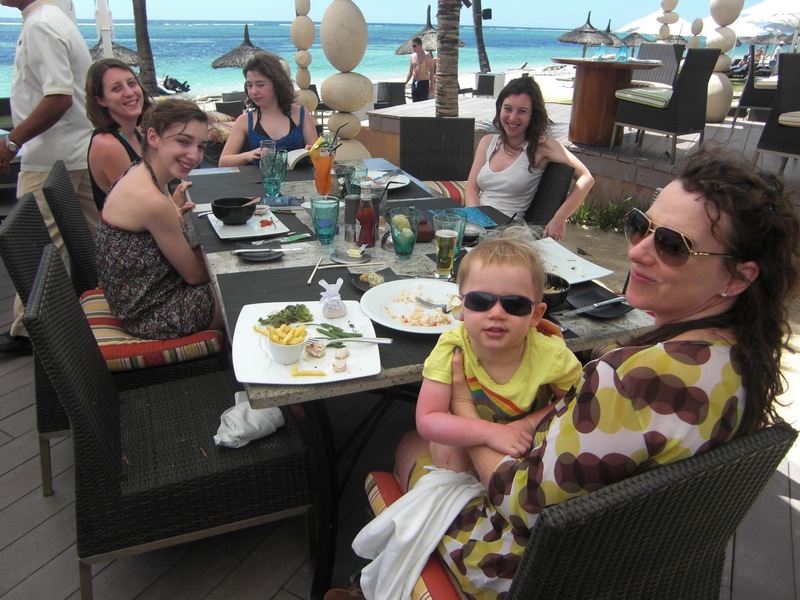 For Christmas I went to Mauritius with my (very extended) family…that is, my dad, my elder sister, my two younger half-sisters, my ex-stepmum, her new boyfriend, and their two-year-old (whom I consider my sister). See, I told you it was complicated. Because of all the snow in London, we nearly didn’t even make it there, which would have been an absolute disaster, but has luck would have it, it stopped snowing for just long enough so we could make it out of the country…we were the first flight out to Mauritius for five days! Phew…Christmas would have been lame if we hadn’t been able to go – we’d already done Christmas dinner and presents and everything, so that we wouldn’t have to carry extra stuff on the plane. 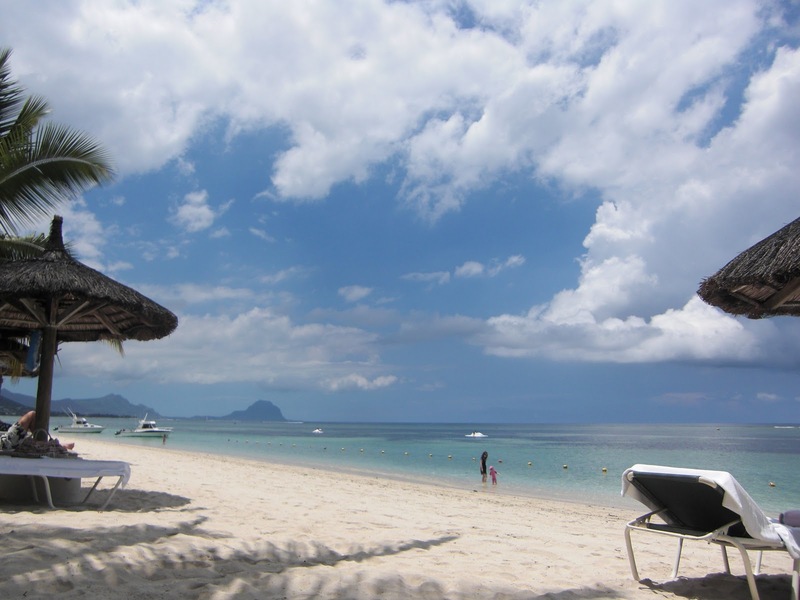 Anyway, after a long 12 hour flight, we arrived in hot and sunny Mauritius and quickly sorted ourselves out in our rooms at the Sugar Beach Hotel on the west coast of the island and were soon lying on the beach, soaking up some rays. It was beautiful, with white sands and blue sea, a book in my hand, and music in my ears. What more could a girl ask for? Over the week, we did nothing and everything. Everyday we’d eat ourselves silly at the buffet breakfast then play in the pool and lie on the beach before having an incredible lunch of sushi, noodles, salads, burgers, grilled sandwiches, fish…we ate it all! After all that food we thought it would be best to do some exercise, so we’d all go off to the watersports hut and go sailing or kayaking or on a pedalo. And about halfway through the week I got a quick wind-surfing lesson and went out on the sea for a few hours, using every muscle in my body to pull up that hefty sail. It was so much fun, I didnt want to stop, but when a big fish decided to sink it’s teeth into my foot I thought it was time to call it a day! In the evenings we’d go for dinner in one of the hotel’s three restaurants – at the main buffet they had a different theme every night, so one night it was oriental food, one was Lebanese, and of course there was Christmas dinner on the day itself. After stuffing ourselves to excellent sufficiency, we’d head over to Tides bar for some cocktails and dancing. Well, I say dancing…but I really mean that Thalia (the 2-year-old) had the time of her life dancing to the live band, while the rest of us watch on, thinking how cute she was! On some nights there were also live dance shows, ranging from belly-dancing to a traditional Mauritian dance display on our last night, a fantastic way to end our stay. 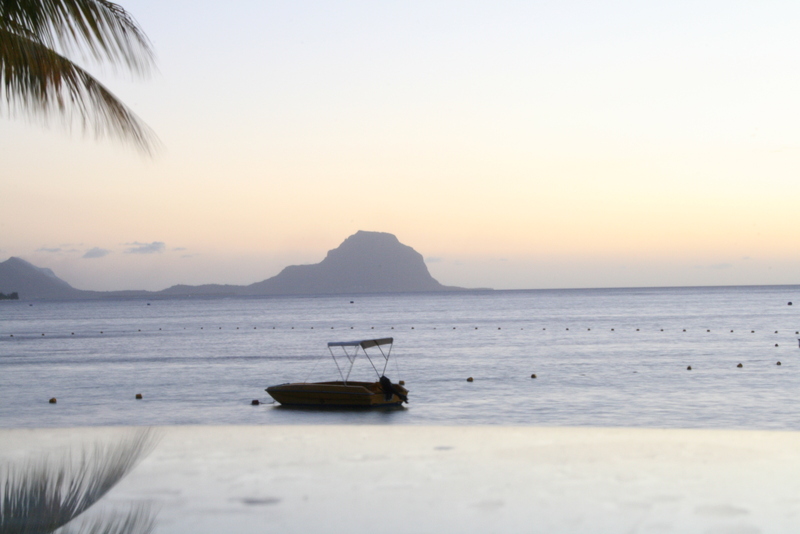 So, if anyone fancies a Christmas getaway, I would definitely recommend Mauritius. It’s got everything you could want and more. But most importantly, it’s not cold, grey and wet, like England!